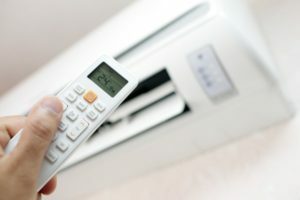 Is a Ductless HVAC System Right For Your Home? HVAC systems are crucial to keeping the climate right in your home. There isn’t a one size fits all solution to choosing an HVAC system. You need to select the option that is right for your home. One of the options out there is the ductless HVAC system. A ductless system provides excellent comfort at a stable and consistent temperature. Is Your Home Already Built? Ductless systems are great for homes that are already built because they require only a minimal amount of alteration. A small hole needs to be drilled into the wall to feed hose from the compressor to the unit. The size of this hole is only a fraction of the size of a standard HVAC hole. You will also need to mount the unit, but that is simple. HVAC systems can be a significant consumer of your power system, costing you a lot of money. A ductless HVAC system, on the other hand, is a very energy efficient solution. Your HVAC duct is taking around 25% of your energy from your home. Compressor startup on the hand will still consume a good portion of your energy. An Energy Star rated ductless HVAC system can save you even more money. Energy efficiency isn’t only about the money that you are saving, but also about protecting the climate. With a ductless HVAC unit, you have plenty of options. You don’t have to worry about where in the room, or home, you put the unit. It doesn’t require a connection to a central unit. Each room can also be set to different air temperature. People will be able to get the desired level of comfort in each room. Don’t want a significant disturbance around your home during the installation process? Putting in a ductless HVAC system is quick and easy. A qualified individual can have the work done in a day or two. On the other hand, a traditional duct system can take weeks to install, during which time you won’t be able to use rooms. Which HVAC duct system you get will be up to you. Ductless HVAC systems have a lot of benefits. Make sure that you do your research and read into the benefits of ducted HVAC systems. Being well-versed makes you able to make an informed decision. An essential part of a substantial investment. For more information on a ductless HVAC system contact Good Deals Heating and Cooling at 215-947-1166. What Is The Difference Between Electric And Gas HVAC Systems? An HVAC system can change your house in a lot of ways, mostly due to the ability to have climate control at your fingertips. HVAC comes with a lot of benefits, but you have to choose which system is right for you. One of the choices you need to make is to determine whether you need an electric HVAC system or a gas HVAC system. Let’s take a look at the differences. Surprisingly, a gas HVAC system runs more efficiently than an electric one. You will just need to ensure that you have the proper gas systems. These systems cost more to install and will require someone who is experienced in installing gas systems. 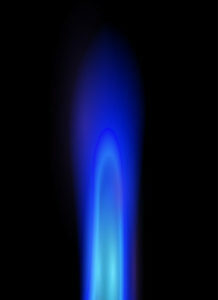 Gas HVAC units can put out more heat efficiently than other HVAC systems. These systems last up to 20 years and are best for cold climates. For those that are looking to get one of these systems, they will find that they are expensive up front. A gas HVAC unit is also louder and requires more continuous maintenance. A lot of people enjoy electric HVAC systems because they are less expensive and easier to install. Units that run on electricity are also inherently safer. You don’t have to worry about gas. Electricity may be more expensive than gas in some areas of the country. Therefore, this choice may prove more costly in the long run. One of the significant benefits of electric HVAC units is they last approximately 10 years longer than a gas HVAC unit. They are better for warmer climates. The higher cost comes with the benefit of being quieter. Just the reduced sound volume can often be a better reason to choose these units. 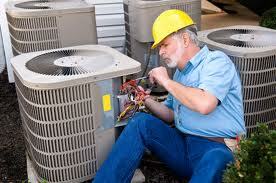 If you are looking to get an HVAC unit making an informed decision is key. You will want to conduct research to determine which unit is the most reasonable for your needs. While a lot of people are choosing electric HVAC systems in the modern world, there are good reasons to choose a gas HVAC. Make sure to also get an expert opinion before making a final choice. For more information on HVAC units contact Good Deals Heating and Cooling at 215-947-1166. Just like any other piece of equipment, the HVAC unit needs regularly scheduled preventative maintenance to keep it in tip top shape. Get into the habit and ensure that the equipment lasts longer. When an HVAC unit runs in optimal condition it saves on expenses today and down the road. Preventative maintenance will catch any potential problems and issues early, and avoid a more complicated and costly repair job in the future. What are the Homeowners Responsibilities? Most homeowners take care of little things such as making sure that all weeds and grass are kept trimmed around the outdoor condenser unit. The unit should be checked frequently for surface debris which is easy to remove. Changing the unit filters on a monthly basis should be done. The best type of replacement filter is an electrostatic one. A clogged unit filter will drastically reduce the efficiency of the HVAC unit and will result in higher energy costs. Never run the unit without having a filter inside. With the power turned off, clean the condenser blades and the fan before the cooling season begins to help keep it running efficiently. Check the base pan under the unit and replace it after a thorough cleaning. Once per year, lubricate the fan motor if it has ports for oil. In the long months of winter, keep the outdoor unit covered for protection and shaded if possible in the summer months. Ideally, at least once per year a licensed HVAC technician should come to your home to professionally inspect and clean the unit to ensure optimum efficiency of the HVAC. The technician will check refrigerant pressure, clean the condenser coil, inspect electrical connections, check the air filter, clean the drain on the compressor, clean the evaporator coil and thoroughly clean the entire HVAC unit. If it is a gas unit, the technician will check all safety controls, clean the flame sensor and the burners, and check the gas heat exchanger. Upon completion, the unit will be ready to go for the season, whether winter or summer. Professional annual or semi-annual maintenance will benefit the homeowner with a monthly energy bill reduction, a longer life span of the HVAC unit and the peace of mind that comes from knowing it was all taken care of by a professional and qualified technician.